The Attachment Parenting theory is becoming extremely popular in the US (all over the world, actually – “The Attachment Parenting” by William and Martha Sears is an international bestseller, treated by many as the parenting bible). In Poland, however, it evokes mixed feelings. 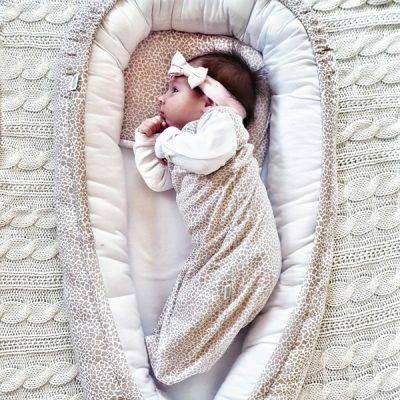 It’s not that we question its principles, but should we really describe sleeping of the parents and the baby in the same bed as “co-sleeping technique”? If a mother decides to use all of her maternity and parental leave, staying with the child until he or she enters kindergarten, should we refer to her decision as “natural parenting”? Should John Bowlby’s “theory of attachment” be used to justify the importance of the parents’ presence in the first phase of the baby’s development for his or her feeling of safety and understanding of human relationships? We have not strained as far from traditional upbringing as highly industrialised countries, where breastfeeding is rare and seen as a sign of eco outlooks or belonging to a subculture of sorts. What we take into consideration is not only the matters of health, but also economics and comfort. The question is not whether or not you should breastfeed, but how you should do it in public. Those are commonly known and socially accepted principles, but how do they work in practice? When parents ask: Kangaroo Care takes so much time, when do we provide it? We say: always. It’s something you need to do, just as you need to feed and change diapers. The baby’s psychological development is just as important as its physical development and health. There is just one, albeit important difference. An underfed baby, or one who doesn’t gain weight, immediately catches everybody’s attention – the parents, the doctors, the social services. A baby who doesn’t spend time with mother or father may appear perfectly healthy. Especially when he or she does not scream for attention. However, lack of physical contact will take its toll on his or her whole life, relations, chances for starting a family. Attachment parenting does not require the parents – in particular the mother – to sacrifice themselves for the baby. In support of this philosophy, many of our products are meant to make the lives of parents easier: a calming swaddle, a kangaroo shirt, gowns for labour and nursing, a multi-purpose poncho… The way we see it, attachment parenting is about treating the baby as a full fledged member of the family, including him or her in the family life, considering his or her daily rhythm in the mother and father’s routine. When to provide Kangaroo Care? Every free moment. When you’re reading, watching TV, skimming through a newspaper, taking a nap, dozing off on the couch after dinner. Where do you breastfeed? Everywhere, any place that allows you and your baby to have a moment of peace – on a bench in a park, at a table at a cafe, in a mother’s room at a shopping mall, in the waiting room. The Varia poncho was created for such situations – to make breastfeeding natural – neither ostentatious, nor shameful. We support attachment parenting not only because of our own experiences or professional observations, but also due to the life of William and Martha Sears. He is a paediatrician, starred in American television as “Dr. Bill” and served as an expert of American’s largest parenting portal. She is a certified nurse and lactation advisor. Together they have written 30 books, a couple of which (“The attachment parenting book”, “The baby book” and “The toddler book”) have made their way to the canon of world’s child care literature. Together they raised 8 children, 4 of which chose to pursue medical careers. Jim and Robert have already become recognised paediatricians. One of the children has Down Syndrome, which the family never kept secret from the public. On the contrary, Stephen was often mentioned and accompanied his parents during travels and public appearances. Martha and William are in their 70s, but still leading an active life. Professionally, they have been focused on diets and allergies for the last couple of years. True to the attachment parenting policy, they keep up with latest trends related to child care and all modern challenges. As Medbest team, this is what we wish to do: be close to parents, babies and their everyday life.